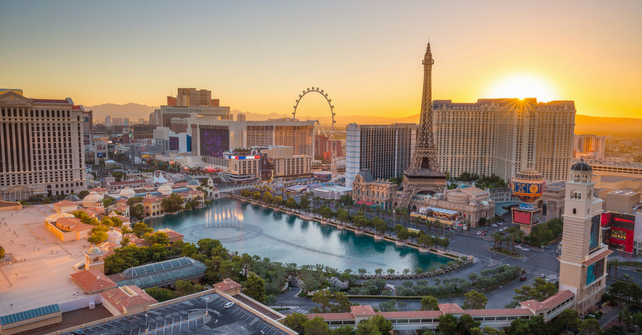 Discover the Las Vegas Strip for less! From incredible dining experiences to exciting casinos, Las Vegas is truly one of a kind. With an incredible location on The Strip, Polo Towers provides the perfect home base for your Las Vegas getaway. Fully-equipped rooms, a rooftop pool and an on-property spa are just a few of the incredible amenities available at Polo Towers Resort. Book directly with Polo Towers and you'll get three nights for the price of two - a savings of 33%! Don't miss out, this deal ends April 27, 2019. Prices are valid on travel through April 30, 2019 only. Rates may be higher during holidays and special events. Promotion applies to select destinations only. For more information call hotel reservations at 1.800.438.2929 and mention marketing key code 3FOR2POLO. Offer based on availability. Transportation, taxes and all other incidental charges are not included. Other restrictions may apply; please call for further details. Book by April 27, 2019. Only valid on applicable dates. This is a non-refundable offer. ADVANCE PAYMENT REQUIRED/NON-REFUNDABLE - 100% of payment will be taken within 72 hours of booking. Payment will be taken in the local currency of the resort. Please be aware that your bank may charge you a transaction fee. If you fail to check in, 100% of the payment will be retained. No cancellations or modifications allowed on this rate plan. Void where prohibited. Reservations are subject to availability. Void where prohibited.